Greetings Anglers! While we are still in low water mode, the outlook looks promising. Cooler temps and shots of rain all next week should help the fishing out there. We were out today with a four person guide trip and found some low 60’s on the lower New Haven and upper 60’s on the Creek. We found many species other than trout on the Otter, but fun none the less. 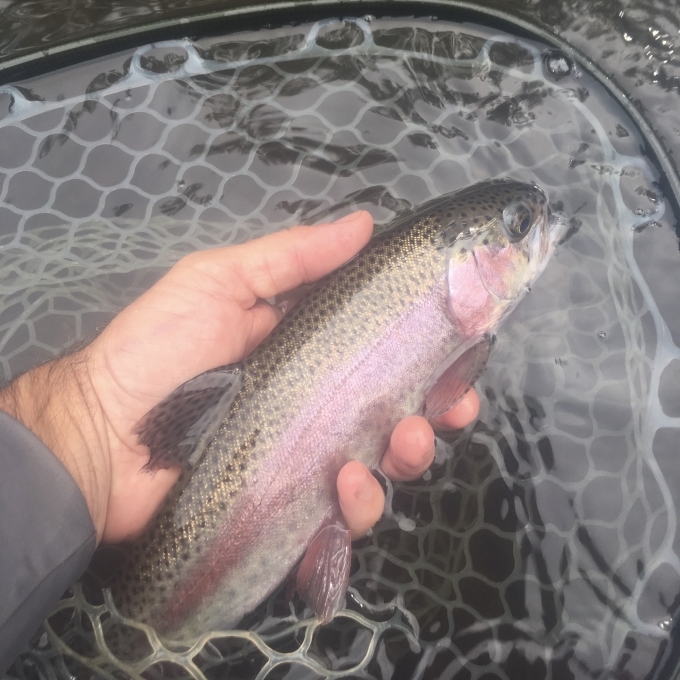 In my experience, once the Otter water temp gets in the lower 60’s, the trout become more active. Until we get really colder temps, they are usually found still in the faster water. Good news though, I feel that given normal temps and precipitation in the fall, the Otter usually fishes well thru November. Today, especially on the New Haven, it paid to switch flies and get deeper in the plunge pools/faster water. Despite the cooler water temps on the New Haven, it was still very low, hence where we found the trout. We had action on our usual suspects of lotus, perdigons and the like, but the heavier princes and even girdle bugs were getting attention as well. Bug activity was a bit sparse, most Iikely due to the wind, but I did see a few tan caddis in the 14-16 range and a handful of Blue Winged Olives 18-20, especially on the Creek. Speaking of Blue Wings, don’t get fooled that a big fish in the Creek, or elsewhere won’t eat a small size 20 fly. Given the numbers that these little bugs inhabit the Otter, a fish would loose a bunch of calories if they neglected this important hatch. Again, most of my luck with this hatch comes on the nymph or emerger. Start with size 16 and go down from there. There are a great number of patterns available at the shop to fit the bill here like the juju baetis, bat-wing emerger, small Pt’s, etc. In hard pressed situations a small olive hares ear works just fine.